Part diary, part correspondence, part historical essay, this unique book presents the life of Walt Disney's most acclaimed director, Wilfred Jackson, whose long career began with the earliest Mickey Mouse shorts and continued through Snow White, Lady and the Tramp, and many more. 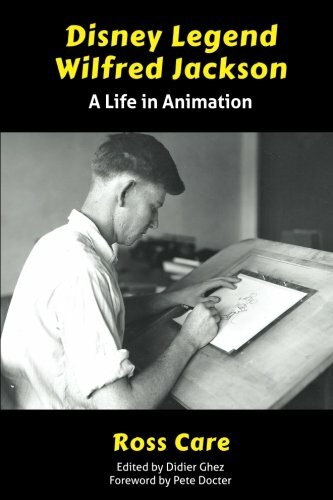 Wilfred Jackson was universally recognized by his colleagues and by animation historians as the best and most thorough of Disney directors. For seven years, “Jaxon” corresponded with Disney historian Ross Care. In his letters to Care, he discussed in tremendous details his career, his thought process, and his work on the Disney shorts and features. These fascinating letters are a treasure trove for Disney history enthusiasts. All these priceless documents as well as Ross Care’s in-depth essay about Jaxon’s career are presented in this book for the very first time.